يشكل فندق جليمر للشقق الفندقية بموقعه الممتاز في قلب ولنجتون سنترال نقطة انطلاق ممتازة لاستكشاف ولنجتون. إن موقعه الجيد الذي يبعد 1. Km فقط عن مركز المدينة يساعد النزلاء على الاستمتاع بمعالم المدينة ونشاطاتها. كما يمكن الوصول بسهولة إلى The Vault Design Store, Tarot Zamm - Tarot Reader Wellington, The Wellington Cable Car. إن الخدمات الممتازة وحسن الضيافة العالي في جليمر للشقق الفندقية تجعل إقامتك تجربة لا تنسى. لضمان راحة ضيوفه، يقدم الفندق الخدمات التالية: واي فاي مجاني في جميع الغرف, مرافق مخصصة لذوي الاحتياجات الخاصة, تسجيل وصول/خروج سريع, تخزين الأمتعة, واي فاي في المناطق العامة . لقد جهزت هذه الإقامة الفندقية بعناية فائقة لتوفر مستوى عالي من الراحة. في بعض الغرف يجد النزيل تلفزيون بشاشة مسطحة, سجاد, قهوة فورية مجانية, شاي مجاني, بياضات. كما أن مجموعة الخدمات الواسعة الموجودة في الفندق لضمان راحتك تترك لك الكثير من الخيارات لقضاء وقتك أثناء فترة إقامتك. إن جليمر للشقق الفندقية هو خيارك لخدمة الفنادق الراقية في ولنجتون. مكتب الإستقبال مفتوح من 07:30 صباحاً إلى 08:00 مساءً خلال أيام الأسبوع ومن 08:00 صباحاً إلى 05:00 مساءً خلال عطلة نهاية الأسبوع. الضيوف الذين سيصلون خارج هذا الوقت يطلب منهم التواصل مع العقار مباشرة قبل موعد الوصول لترتيب هذا الأمر. يُطلب مبلغ تأميني من البطاقة الائتمانية بقيمة 100 دولار نيوزيلاندي عند تسجيل الوصول؛ لتغطية أية مصروفات عرضية أو رسوم خلال فترة الإقامة، ويُسترد هذا المبلغ عند المغادرة. أو بدلاً من ذلك، يمكن إيداع سند نقدي إذا كنت ستصل وتغادر خلال ساعات عمل مكتب الاستقبال. يُرجى الاتصال بالفندق مباشرةً قبل 24 ساعة على الأقل من الوصول لترتيب سند نقدي. يُطبّق رسم إضافي على عمليات الدفع التي تتم في العقار مباشرةً بقيمة 3.35% لبطاقات أمريكان إكسبرس وداينرز كلوب و1.95% لبطاقات فيزا وماستر كارد. The hotel room is quite big n complete with facilities. On top of the hill with a nice view. Walking distance to town. If one is without a transport, please ensure your knee cap is good to climb up n come down the hill. During our stay, work on construction n Maintenance of roads was ongoing. The. Noise from the room can be heard n was quite noisy. My stay at the Gilmer Apartments was very pleasant. Check-in was quick, and the room was - as promised - nicely equipped with a small kitchenette and laundry (although, the drying rack is key, even with a dryer option). The room was clean and quiet, although the view was nothing special (an alleyway and office building). The location is excellent! 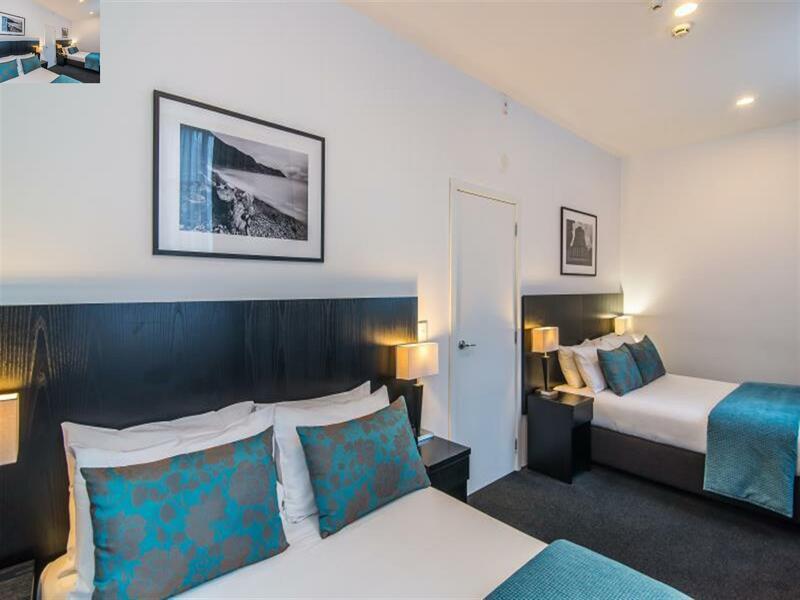 - within easy walking distance of the main shopping streets, and key attractions such as the Wellington Museum, Portrait Gallery, Cable Car, Parliament, etc. Staff were very polite and answered requests promptly. Would highly recommend. Hello Pamela, Thank you for your review and we are so pleased you enjoyed Gilmer Apartment Hotel. We arrived late on a cold autumnal evening and were welcomed warmly by the staff member on the front desk who in addition to apologising for the renovation work being undertaken on the ground floor corridor provided us with a helpful if comical map showing us the secret passage through the nethers of a nearby carpark to Lambton Quay (main St). There was complementary access to a nearby well equipped gym and the location was perfect for access to the city, waterfront, botanical gardens and green belt trails. Our room - two floors above was compact (watching television involved swivelling on the two seater sofa or retreating to the comfortable bed), but tidy providing basic amenities for self sufficiency, less impressive a washing machine/dryer that recommended a rather ineffectual cold wash, and most disconcerting, a 90 litre hot water limit sign on the shower, which on the first morning appeared to be code for 9 minutes (cue brief relationship crisis). Overall though most enjoyable. Thank you for your review Angeline. Your feedback is constructive. Good location in city , walking distance to harbour, museum , Cuba street and Wellington cable all within 8-15 mins. Parking needs reservation to be sure to get a spot as limited spaces available at $20/night (a little pricey as usually at $15/night). Else staff friendly and helpful giving short cuts to the above mentioned places . This hotel is conveniently located in city center. It has free Wifi, kitchenette, washer and dryer in the room. The cable car and Lambton Quay is within walking distance. It's clean and serviced daily. The room rate is very reasonable. We arrived early since we had planned on doing the Wellington Cable excursion and then the Wellington City Tour (only had from midmorning to night to complete our visit.) Our room was ready when we walked in around 10-10:30AM so we could get comfortable before walking to the various attraction we had selected. As most hotel accommodations, there was no restaurant attached. Parking costs - $20/day. This apartment style hotel has got almost everything, except swimming pool and gym etc. 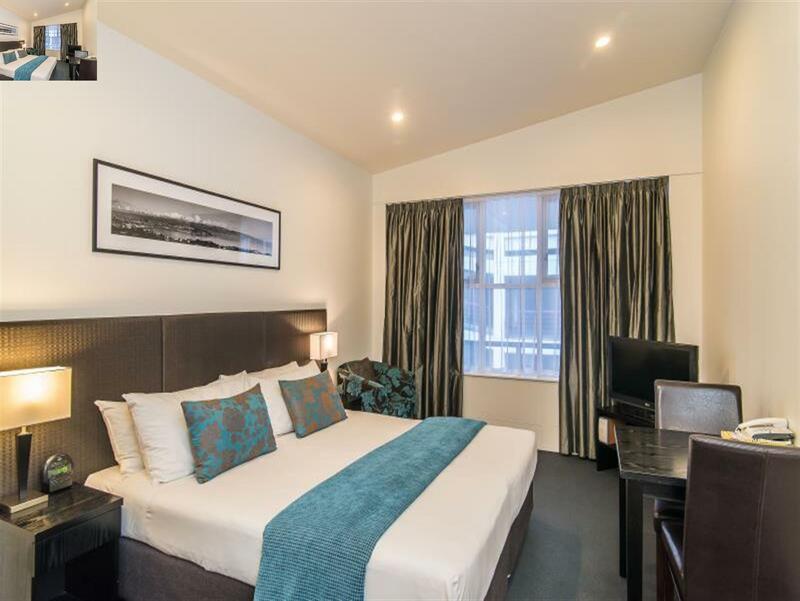 Nestled on Gilmer terrace, which is just a short walk down to Lambton quay. which gets you to everywhere in Wellington on foot. I checked in after their opening hour, I was given very easy instruction on how to access the hotel and to my room with no problem. The room isn't so big,but is decent enough for 2 persons. It has kitchenette, washing machine for laundry, a small but clean bathroom, and a heater to keep you warm and cosy. For the price, I am very happy with what I got. The front staffs are friendly and always cheerful. It is a place I will be very happy to come back to for my next visit. We stayed here for two nights during our Wellington stay. 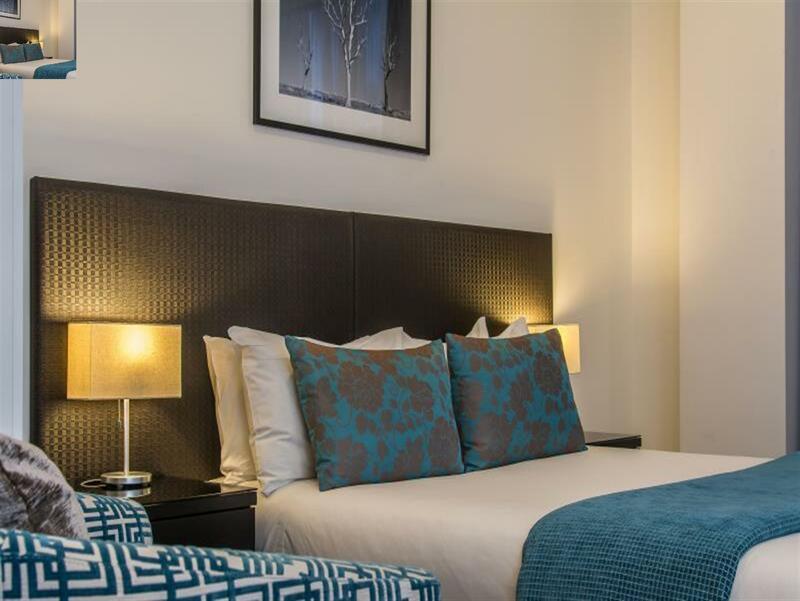 The rooms have been newly refurbished providing near 5 star facilities. Laundry and cooking facilities were excellent additions. Hotel is only a 5 min walk to main shopping and dining street. Only negative aspect of stay was the fact that outside of Hotel was currently under refurbishment and early morning external noise interruptions was experienced. Stayed for few days with family of 3 children. The apartment was nicely fit all of us. It comes with complete kitchenettes, washing machine & dryer. We have a lovely stay.. One thing for need to improve was the parking. I need to pay extra for car park which is ridiculous. Our experience with Gilmer Hotel was wonderful. I took a long time in search of an accommodation in town with reasonable pricing, cooking facilities, modern furnishing and convenient parking facilities, this was indeed a great choice. 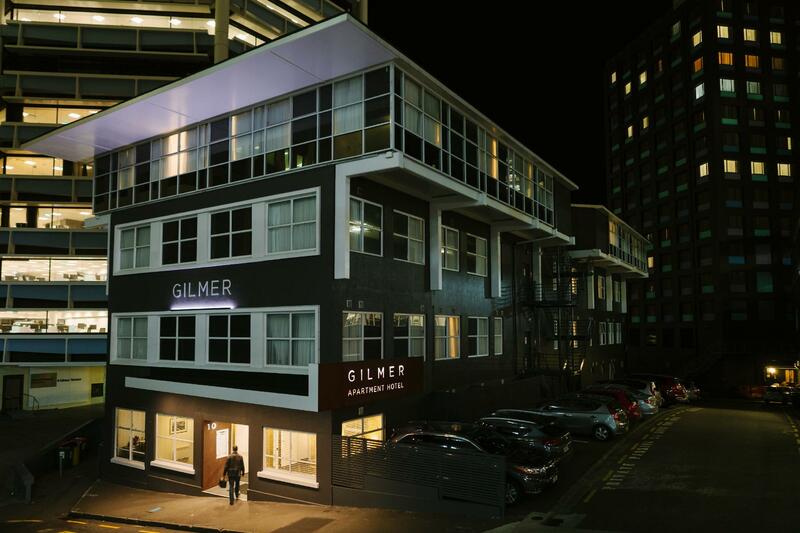 If we are travelling to Wellington again, Gilmer is definitely our choice. Really great having your own washer/dryer and cooking facilities in a location so central in Wellington. Would suit somebody staying in Wellington for a week or longer who wants some independence, like a business traveler. Staff very helpful and friendly and location a short walk 10-15 minute from the waterfront, museums etc. We found this hotel on line just before we arrived on the ferry.It was central ,contained every thing we needed including a washing machine and dryer.Staff were great with directions and the hotel was well priced. Thank you Warreen. We hope you come again. Thank you Nico :) We hope to see you again soon. Like the resolution of the staff. We forgotten something in the room, the hotel also sent a warning. We really enjoy our stay there. Staffs are helpfull. The high street & tourist attraction are only in a walking distance. Will definitely stay there again if return back to Wellington. Good location. Small room. Washing machine. Small stove top abs fridge. Nice staff. Great location for KJ Hostel, city centre & carpark options. We had a King Apartment on the 3rd floor and it was a nightmare! Very dark due to another building just a few meters from our window. But the worst thing was that you couldn't open the window more than ca. 10 cm!!! And the window itself was tiny! The room was terribly hot and stuffy, there was no air coming in from the outside and there is no aircon, either! Just a small fan which didn't help much. Sleeping was alomost impossible due to the heat and bad air in the room. Staff was friendly but couldn't offeer any other solution than giving us a second fan. We would never ever stay there again! If you book this motel, make sure to book a 1-bedroom apt. cause they have aircon! Apart from this, location is good. Thank you for your review. We are very sorry to hear you were not comfortable during your stay with us, due to the lack of air circulation in the room. We do not have air conditioning in any of room categories. We have provided the fans due to the strangely warm weather Wellington has experienced this Summer and we do have security latches on our room windows. We certainly do our best to ensure all our guests have a comfortable stay. We are sorry to hear you will not be returning. Wishing you safe travels. Hotel Management.